Bob Estes is a Fayetteville, Arkansas attorney. He has tried many cases, both criminal and civil. His practice is a combination of medical malpractice, car wrecks, product liability, business and commercial litigation. He is a past Governor of the Arkansas Bar Association and a tenured member of the Arkansas Bar Association House of Delegates. He is past president of the Arkansas Trial Lawyers Association, a Master Emeritus of the W.B. 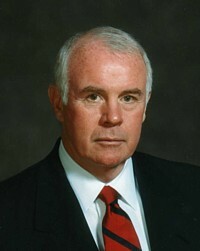 Putman American Inns of Court, an Adjunct Professor of Law at the U of A – Fayetteville Law School and a Founding Fellow of the Southern Trial Lawyers Association. He is a member of the Million Dollar Advocates Forum, Academy of Catastrophic Injury Attorneys and Academy of Trail Advocacy. He is a frequent contributor to legal publications.